Fa-Hsiang Hu is a designer, creative director and educator. 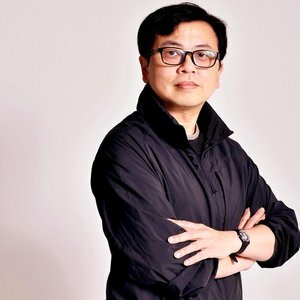 He is an assistant professor of Department of visual and communication design at China University of Technology and also is an Executive Creative Director of hufax arts Co., Ltd. Director of Taiwan Graphic Design Association / Director of Taiwan Posters Design Association. Hu's works has been recognized by the Taiwan Visual Design Award, and numerous awards from leading design organizations and publications worldwide, including D&AD Awards, London International Awards, Red Dot Communication Design Award, Communication Arts, Golden Pins Awards, Hong Kong Designers Association, IDA and Graphis,… etc. As well as his posters were won and selected into the international poster biennales in Warsaw, Bolivia, Macau,… etc.